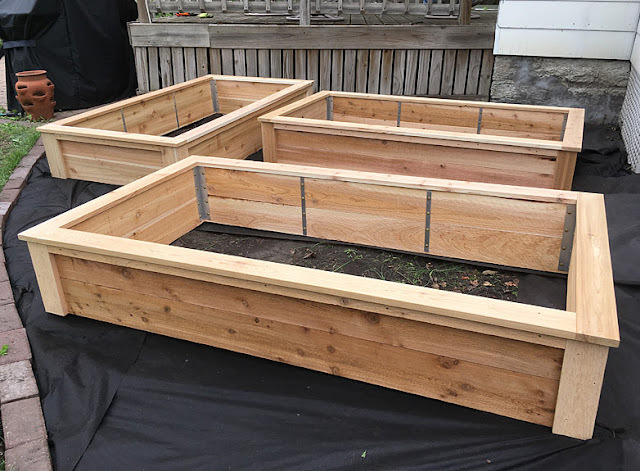 Three custom sized twelve-inch tall beds for Rich in Minneapolis. Lumber is true to size, 1-3/4 inch rough sawn western red cedar. Brackets are aluminum. 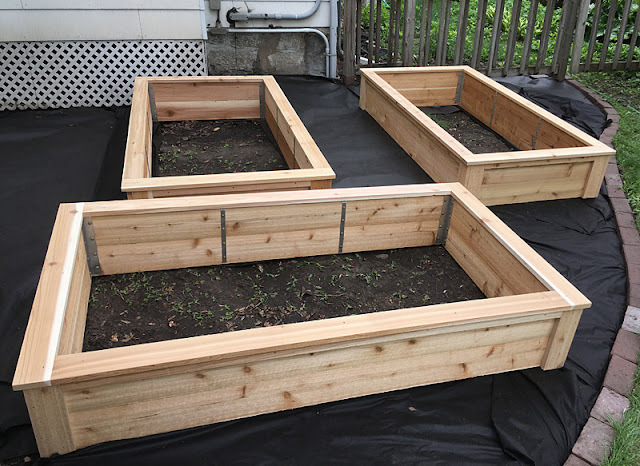 These will give his family years of vegetable growing!